I always thought that one baby bathtub was just as good as another. After all, it only gets used for baths, and the process seemed like it was going to be difficult no matter what I did. To my surprise, though, The First Years Newborn-to-Toddler Tub has made the process a little bit easier. 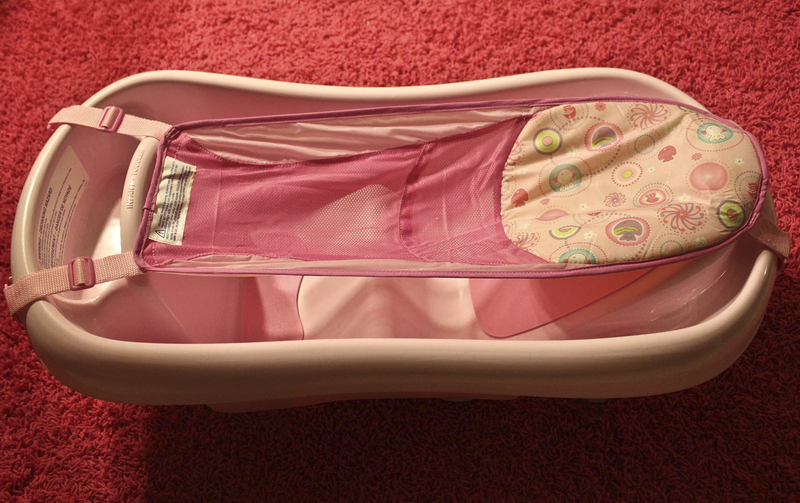 I’ve only used it for newborn use to date but it has already made bath time quicker and simpler. 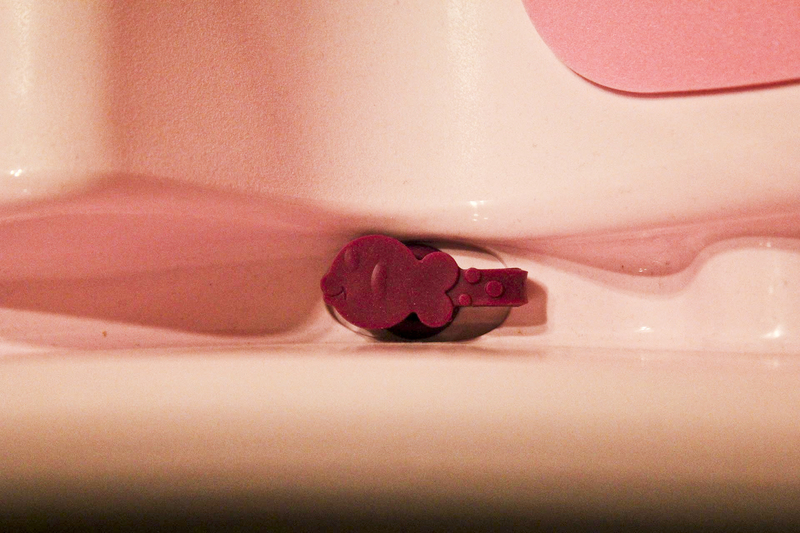 There is a drain plug in the bottom of the tub, which is perfect to easily let the water out of the tub without having to lift or flip the tub to drain and it’s made of a special material that changes color to let you know if the water temperature is too hot. Although I wouldn’t completely rely on the changing drain plug, it is a nice addition. 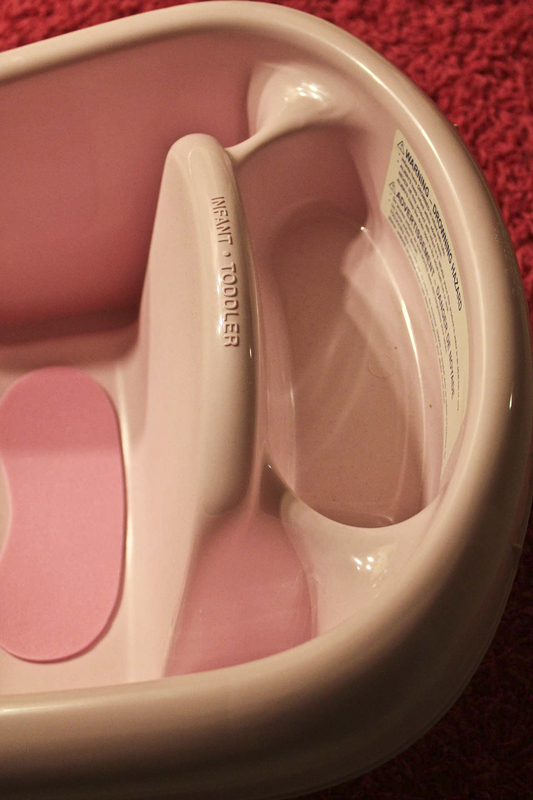 On one end of the tub, there is a holder for soap, shampoo, rinse cup, toys, etc.. You can also fill the wash basin with rinsing water so the baby’s sensitive eyes are not exposed to soapy water. 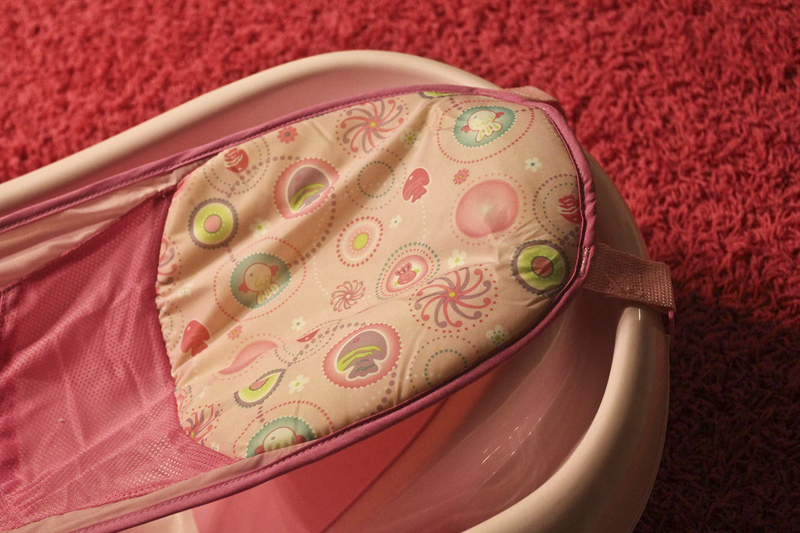 The upright backrest provides additional support for toddlers while giving them plenty of room to splash and explore. Its plastic material and mesh sling make it super light and easy to transport. 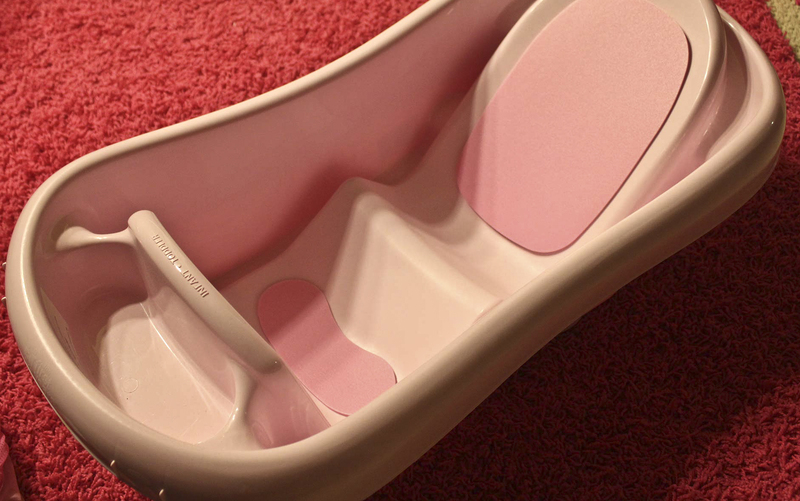 Instead of trying to wash Athena on the changing table, I have an actual tub that supports her and comforts her during the new stages of life. Although bath time is not our favorite time of the day, the soft sling and pads certainly ensures comfort and makes bath time a little less hectic. Great tub. I just bought one.